Molten bees wax, old books, letters, maps, & ephemera filled with memories. Inspired by the briefness of life and the wonders of the natural world Amidon’s artwork explores the cycles of life, calling attention to its transitory and fragile nature. 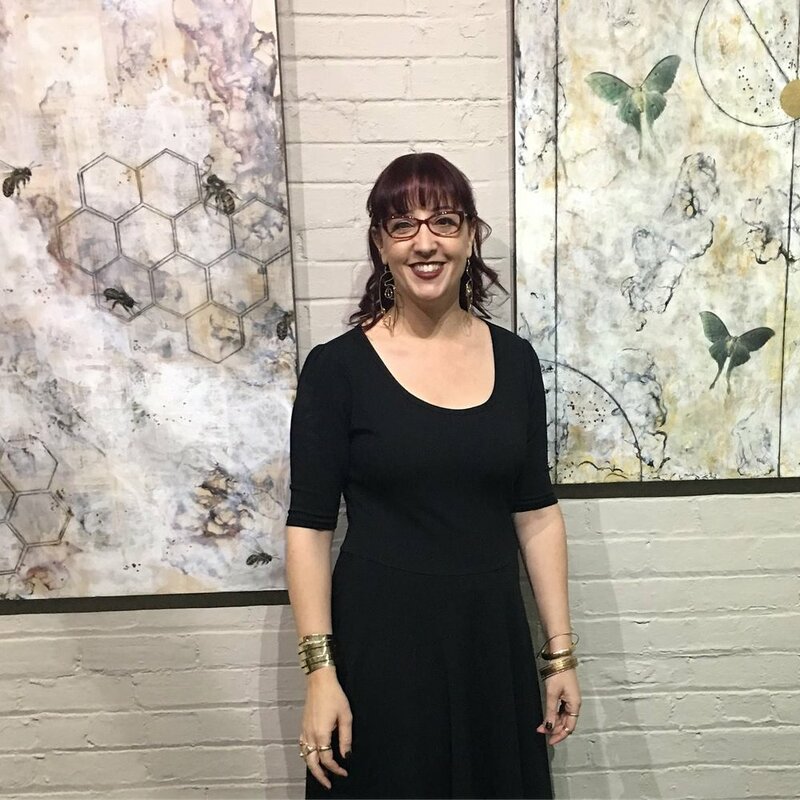 Shannon primarily uses the ancient medium of encaustic (molten beeswax) often incorporating organic and ephemeral materials to create her artwork. She has a strong emotional connection to well-worn objects that have been through many hands and feels the essence of their history and memories reflected in her art. Her subject matter often includes a variety of natural history elements including insects, botanicals, seed pods, and birds as well as ancient symbolism and geometry. By interlacing science, nature and memories Amidon strives to create pensive and familiar images that transport the viewer to another time and place, evocative of a moment filled with exploration, wonder and discovery. Currently residing in Portland, Oregon, Amidon’s artwork has been featured in many solo and group exhibitions worldwide. 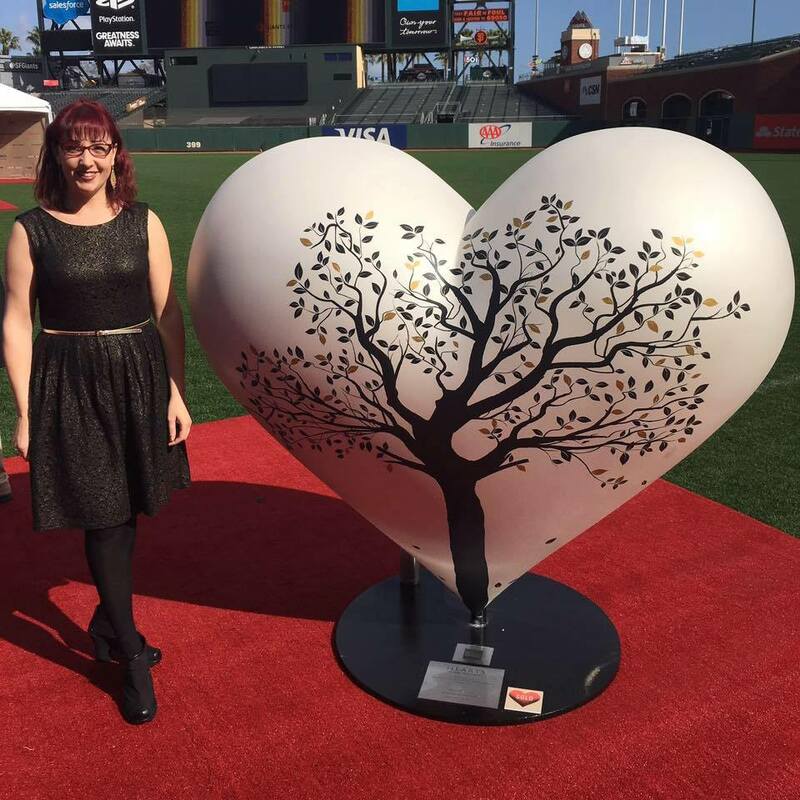 She has been the recipient of several grants and awards including the Leigh Weimers Emerging Artist Award, SV Creates Artist Laureate, Awesome Foundation Award, and the Art Inspector Eco Art Grant and studio makeover. She was identified by the curators of the Triton Museum of Art for their 50th anniversary exhibition as an artist they feel are worthy of attention in the coming years. Shannon has been an artist in residence at The Ayatana Artistic Research Program in Canada, TechShop San Jose, Herhusid House Artist Residency in Iceland as well as the David and Julia White Artist Colony in Costa Rica. Corporate collectors include Genentech, Wells Fargo Bank, Imagery Estate Winery and Kaiser Permanente. "Shannon Amidon is an inspiring mixed media artist who often focuses on encaustic painting. Her work focuses on the brevity and transitional qualities of life, as reflected by her frequent depictions of natural elements and beautiful backgrounds that look like they came from a dream."